Sally Heller showing the "Bling!" Sally Heller has a group show opening February 9, 2012 at Jim Kempner Fine Art in New York City. “Bling!” looks at society’s obsession with luxury and material possessions as status symbols, so it promises a lot of sparkle. The show also includes work by Damien Hirst and Andy Warhol. You will definitely want to check out this show if you are in New York between February 9 – March 17, 2012! 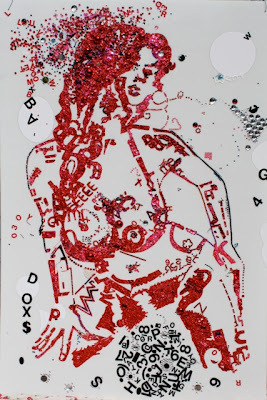 This entry was posted in art exhibition, Bling, Jim Kempner Fine Art, mixed media, Sally Heller on February 4, 2012 by Whitespace.